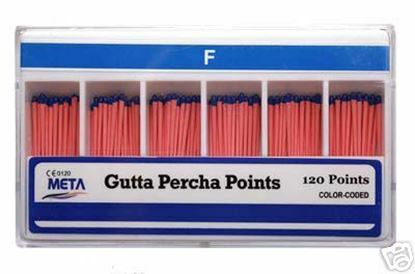 Gutta Percha Points by Meta are available with length markings as 04 and 06 tapered at various sizes as a 60 pack for all your endodontic needs. 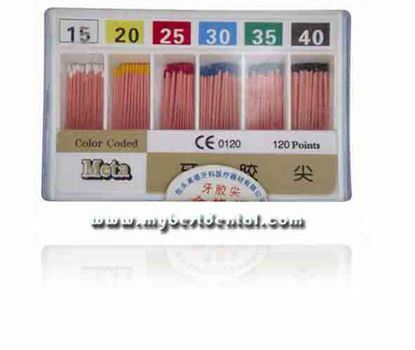 Gutta Percha Points by Meta are available with length markings in various tapers and sizes for all your endodontic needs packed as 120 quantities in boxes for easy access and storage. 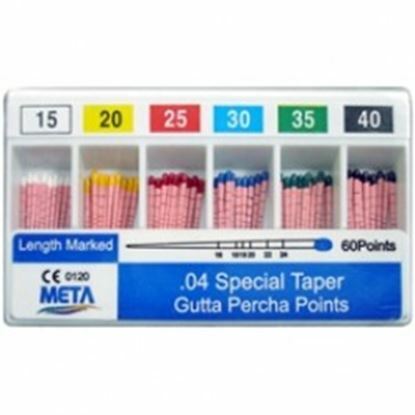 Gutta Percha Points by Meta are available with length markings in various tapers and sizes for all your endodontic needs packed in individual vials for convenience and freshness.